Join us as we climb Mount Olympus, explore the halls of Valhalla, and hike the Cedar Forest from the Epic of Gilgamesh while earning our Creative Play badges. Girls will compete in challenges, play games, and meet mythological creatures. There will be plenty of traditional camp activities too: campfires, archery*, canoeing*, and Ga-Ga ball. Brownies will earn the Making Games Badge with the help of their Cadette friends. Cadettes will earn the Field Day Badge by planning and carrying out activities for Brownies. Juniors will earn Playing the Past badge while Seniors will earn Game Visionary. Ambassador Girl Scouts can elect to help other levels with their badges or work on a badge of their own choosing and Daisy Scouts will have a blast meeting their sister scouts and finding out what camp is all about! All girls will receive a fun patch in addition to the Brownie/Junior/Cadette/Senior badges. Additional activities: campfire/s’mores, gaga ball, lawn games, fishing, archery*, canoeing*, fun with friends! *Archery and canoeing will depend on the availability of facilitators. Troops (of any level) can elect to stay overnight (Friday, Saturday, or both) or to come out just for the day on Saturday. Daisies who are staying the night must be accompanied by a parent or guardian. Per GSHPA policy, individual girls not attending with a troop must be accompanied by a parent or guardian. Please note that the Craft House (and traverse wall) and Lower Palmer lodging are unavailable. Please register early to ensure your girls have a spot, since camp capacity is limited. We will also use registration date when making decisions regarding lodging assignments. Troops who would like to camp in tents should indicate so when registering for camp. There are a limited number of tents available to borrow. Registration deadline: Sunday, September 3 or when camp reaches capacity. Questions? Contact the camp committee. No food will be provided Friday evening or Saturday morning, so troops arriving Friday night will need to provide their own food for Friday dinner/snacks and Saturday breakfast.. Participants should bring a bagged lunch for Saturday. Camp volunteers will provide snacks, Saturday dinner and Sunday breakfast. The cost of these meals is included in the registration fee. Please indicate any dietary restrictions/allergies when your roster is submitted. Registration will open August 1 and run through September 3 or camp is full. Please remember that you can add people to your reservation at any time during the registration period – register early! Final rosters are due Sunday, September 3. Failure to submit a roster by the deadline will result in your troop’s registration being canceled. Full payment is due (received – not in the mail) September 10. If a girl has GoDough available and wishes to use it for this event, indicate girl name and amount to apply in comment section of the registration form. The camp committee will contact you to make arrangements to remit the Go-Dough. Please indicate any special accommodations needed or restrictions in the comment section of the registration form. Although camp rental rates have increased significantly, we are fortunate to have our weekend sponsored by a generous gift from an anonymous donor. The cost for this event is $15 per scout or $5 per adult, which covers food and program materials. Note that there is one price regardless of if you are staying overnight or just coming for Saturday. Financial assistance may be available through council and girls can use Go-Dough to pay for this event. Please indicate if you are planning on using any special payment arrangements on your reservation. We expect the cost for spring camp to reflect the increased cost of camp rental. Full payment should be in the mail. Sep 2 Update: At this point if you want to add additional overnight girls or adults, you MUST contact the camp committee. Troop leaders should complete the registration form for the entire troop. Troop leaders will be able to submit the registration form multiple times if needed. Troops must meet ratio requirements. If a troop is combining with another troop to meet ratios, please note the other troop number in the registration comment. If a group comprises more than one level, they must follow the ratio for the youngest girls. All adults must be GSUSA registered and cleared. At least one adult must be female. At least two adults must be non-related. Girls whose troop is not attending may attend with a parent/guardian (both girl and parent must register for the event; parent must remain at camp with girl). If staying overnight, the parent must be registered with GSUSA and have all clearances on file. Girls can also join “Camp Troops” if their primary troop is not attending the event but another troop you know is (provided the “Camp Troop” leaders agree). Tag-a-longs are minor children who are not registered members of GSHPA. They must be accompanied by a parent or guardian, must appear on your roster, and must register for the event. Girls who eligible to join Girl Scouts (kindergarten or older) must become GSHPA members and register at the girl rate (i.e., tag-a-long applies to boys age 0-17 and girls age 0-pre-K). 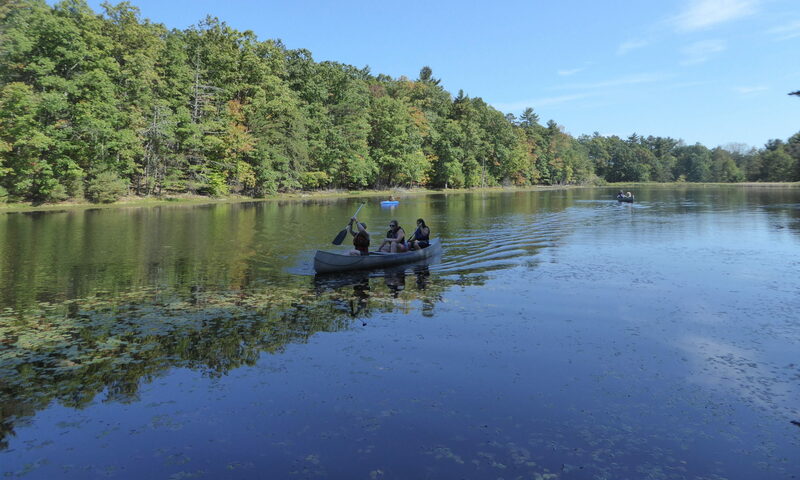 If you are an adult volunteer who would like to help facilitate archery, canoeing, fishing, or cook in the kitchen, please contact the camp committee. Facilitators will receive discounted registration rates. If your scouts would need additional supervision while you are helping with camp activities, we will assign your scouts with another group to ensure proper ratios are followed. Hi, where do I send the payment? Thanks! Payment instructions should be included in your confirmation email.